Halloween village settings are lots of fun! Department 56 is a maker of collectibles, curious, figurines, ornaments and gift ware. 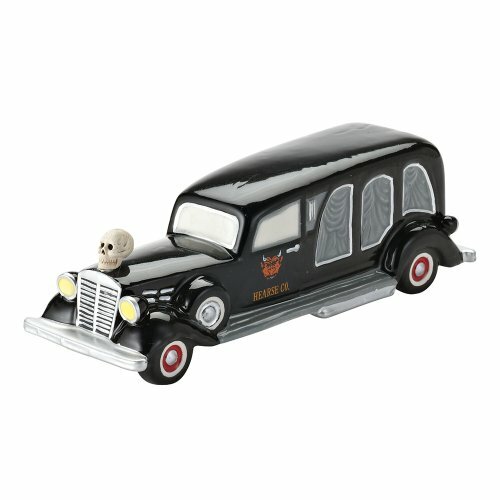 One of the brand’s popular creation is the Department 56 Halloween Village. A set-up that gives a creepy impression. The Department 56 Halloween village is a gift set that has curios and building structures. People who decorate their rooms for Halloween set up the villages. They place houses, animals and other things to form a theme. Why Choosing a Department 56 Halloween Village ? Each figure in these collections is made by hand. The small curios have excellent finishing. They look as if they are real. 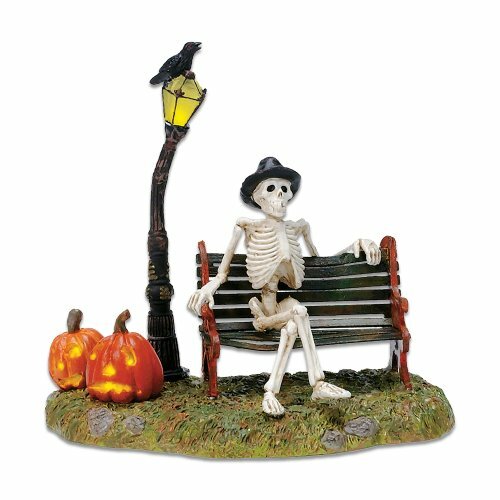 You can buy a village set and other small items like grave stones, mail boxes, fire hydrants and street lights to set up a village that looks full of life on a dark Halloween night. Department 56 Village Swinging Ghoulies A Halloween village needs swinging ghoulies, does it? At first sight you might think this Halloween village accessory looks like any other swinging machine that you could see at the local fair. However, it is NOT your usual and favorite fair machine! This one features ghouls swining around a frightful lighted and animated trunk! 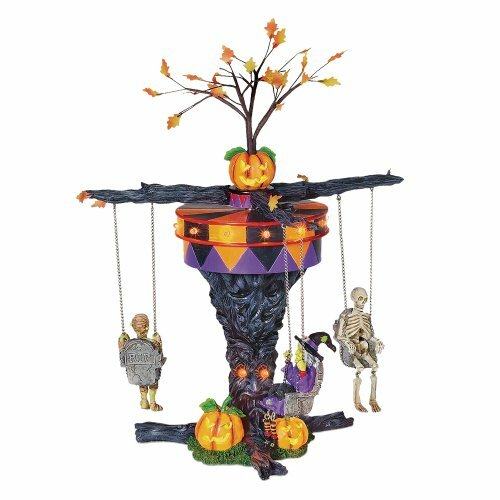 The witch, the mummy and the skeleton on the swinging seat don’t see to have lots of fun on this scary merry go round. The machine is topped with a dreadfully sculpted pumpkin and its bottom is adorned with carved pumpkins as well. 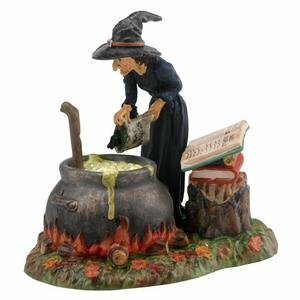 All in all it makes a fantastic addition to your Department 56 Halloween Village if you already have one. 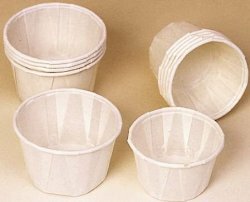 This 10″ H Dept 56 village accessory can be used as tabletop in case you just begin to collect these items and can’t pair this one with others yet. Why Should you Have a Halloween Village? It feels great to have your home decorated on Halloween. If you are throwing a Halloween party and inviting friends over you should buy one of these sets to add life to your room. 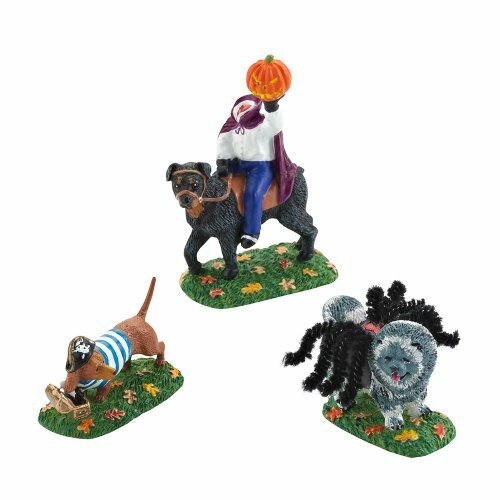 Your decorations will look incomplete without a Department 56 Halloween village. 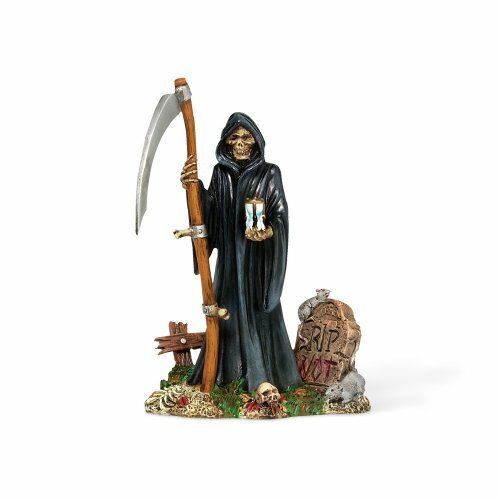 Your friends and visitors will love the Department 56 Halloween decor. The entourage you create will make it a perfect night. And everybody will feel as if they have stepped into a spooky world. The adequate decoration will make your Halloween party a huge success. A building will cost you between $90 and $150. You can add small accessories that cost less than $10. The collection can be saved for next year after the holiday – and you can even enlarge the series, one year after another. The high quality of the items is worth spending your money. Halloween Snow Village from Department 56 Retching Pumpkin Diner Disgusting Halloween Village Pumpkin Diner. Pumpkins play a big role in the frightful festivities of October. Therefore, they have a prominent place in Halloween villages by Dept 56. As a great example, this Retching Pumpkin diner building uses the theme. What a horrible building, isn’t it? 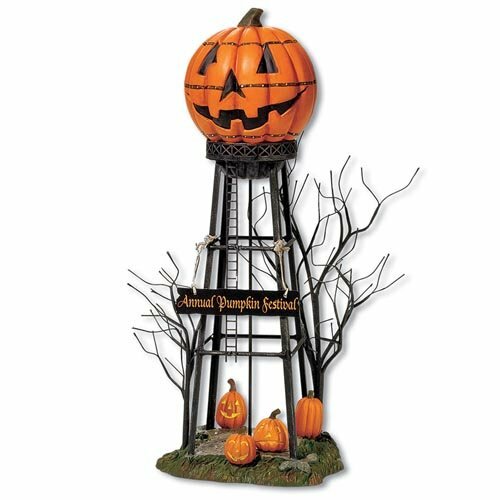 With this sick pumpkin that is topping the diner… The overall theme of this item is orange – like the holiday – and comes in a frightful design. It comes with lighted effects, a disgusting trash can on its bottom and the menu written on each side of the doors. The building was made and painted by hand. 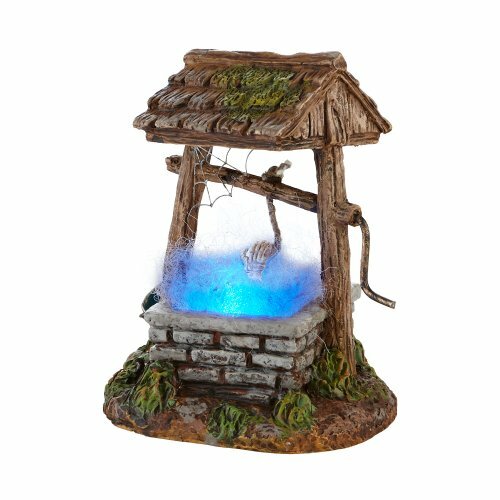 It’s made out of ceramic and comes with cord and light bulb for you to create a spooky effect at dusk. One of the most productive sides of the Halloween market is the costumes one. 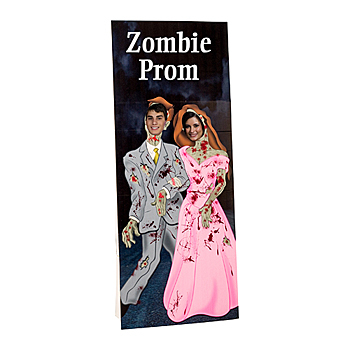 Who wouldn’t want to wear the most beautiful or frightful or creative or… costume for the occasion? That is what Axel’s Costume Shop Lit House is all about! Your Halloween village really needs a costume store. But not any kind of costume store… the store must be as frightful as the entire village. This is something the manufacturer understood. 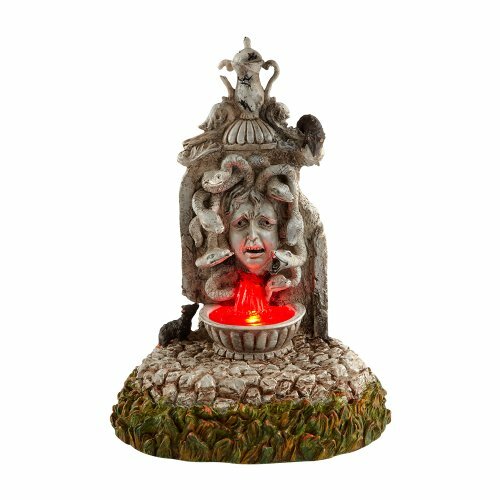 The Axel’s costume shop from the Snow Village Halloween collection,measures 8.27″ and is as frightful as it needs to be and comes with creepy details of which you will not be disappointed. Axel’s costume shop’s fonts are written using gothic fonts so as to match the theme of the village. Scary costumes are displayed on the windows while a horrible carved lighted pumpkin welcomes the guests. Like most Halloween village buildings by Dept 56, this costume store is made out of ceramic. The building is painted by hand and comes with light bulb and lighting cord. Everybody envies Madame Tussaud’s wax museum. That is why the Department 56 Halloween Village has its in-house wax museum also known as “Zelda’s Wax Museum”. This museum is the one-stop place for you to discover immortablized monsters from the most popular movies. The building is also adorned with gargoyles; which adds to the spooky look. This is the place you want to go on Halloween. Through the windows you can see the monsters while the overall aspect of the building is absolutely frightful and matches the village theme perfectly. The building is made out of ceramic and lighted using LED lights. As usual this Department 56 Halloween Village house is made using the best materials. Are you looking for your next significant one or just a date for the Halloween village party ? Then don’t forget to set an appointment at the Black Widow dating service ! Whether you’re looking for dating a witch, a warlock, a skeleton, a ghoul, a ghost or any other scary Halloween monster you’re welcome to join the Black Widow’s building. The building theme is closely tied to the owner’s name and adorned with spider webs. A black crow welcomes the customers and potential next victims of the owner. The old cottage aspect adds to the frightful look of the collectible. It’s a fantastic addition to an existing Halloween village. I would see it at the end of the village, surrounded with dead trees. So you started building your scary, creepy, chilly Department 56 Halloween Village using buildings. However now it’s time to add some characters and details as all villages, even zombie villages, do necessitate a few individuals and other utilities. Here’s an overview of some of the items you can accessorize your Halloween village with. As you can see setting up a Halloween village can be lots of fun and it makes an endless source of amazement for both kids and grownups. Tagged department 56 halloween village, dept 56 halloween snow village, halloween characters, halloween collectibles, halloween decorations, halloween figurines, halloween houses, halloween lighted houses, miniature diner, miniature pumpkins, miniature wax museum, scary halloween village.